Raising a storm: Shashi Tharoor. 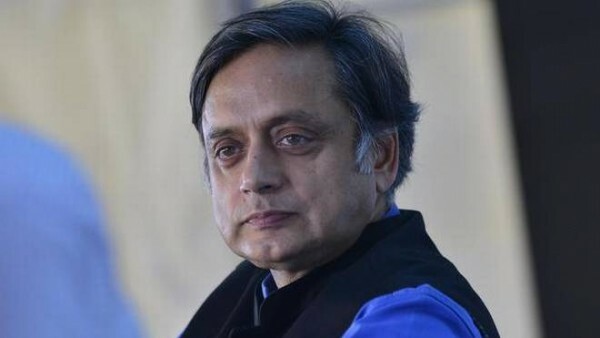 A major controversy is brewing over Congress leader Shashi Tharoor's remarks that a Hindu Pakistan would be created if the BJP returns to power with the Congress asking him to be restrained after the saffron party attacked him. The Thiruvananthapuram MP, however, refused to retract, saying the BJP-RSS idea of a Hindu Rashtra remained the mirror image of the neighbouring “intolerant theocratic state”. “I have said this before and I will say it again. Pakistan was created as a state with a dominant religion that discriminates against its minorities and denies them equal rights. India never accepted the logic that had partitioned the country. But the BJP-RSS idea of a Hindu Rashtra is the mirror image of Pakistan — a state with a dominant majority religion that seeks to put its minorities in a subordinate place. “That would be a Hindu Pakistan and it is not what our freedom movement fought for, nor the idea of India enshrined in our Constitution,” Tharoor wrote on Facebook. The parliamentarian said Hindus like him cherish the inclusive nature of their faith and have no desire to live “as our Pakistani neighbours are forced to, in an intolerant theocratic state. The Facebook post came in response to criticism from the BJP which said “such kind of abuses for the Indian democracy” by Tharoor had become the constant feature of the Congress. “By saying Hindu Pakistan you have attacked the democracy of India and the Congress has attacked the Hindus of the country. This is condemnable. This has been the nature of the Congress that while hating Modi, they have crossed all the lines and they start attacking the country,” BJP spokesperson Sambit Patra said. Patra asked Congress President Rahul Gandhi to explain Tharoor’s remarks and apologise. Speaking on “Threats faced by Indian Democracy and Secularism” at an event in Thiruvananthapuram, he said: “The great danger is that if they are able to win a repeat of their current strength in the Lok Sabha, then frankly our democratic constitution as we understand will not survive because they will have all the three elements they need to tear up the Constitution of India and write a new one.